Tushar Pandey, the newbie in town is all set for his upcoming project ‘Hum Chaar’ under the prestigious banner of Rajshri Productions. 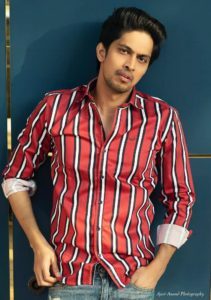 The production house has been a pioneer in bringing fresh faces into the showbiz, and the actor seems overwhelmed to be a part of Rajshri family. 16 queries in 0.551 seconds.